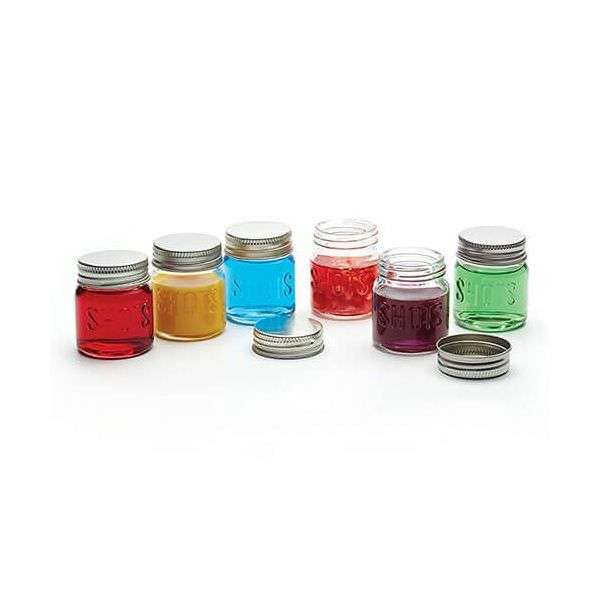 This set of 6 KitchenCraft Bar Craft mini jars are made from high quality glass. 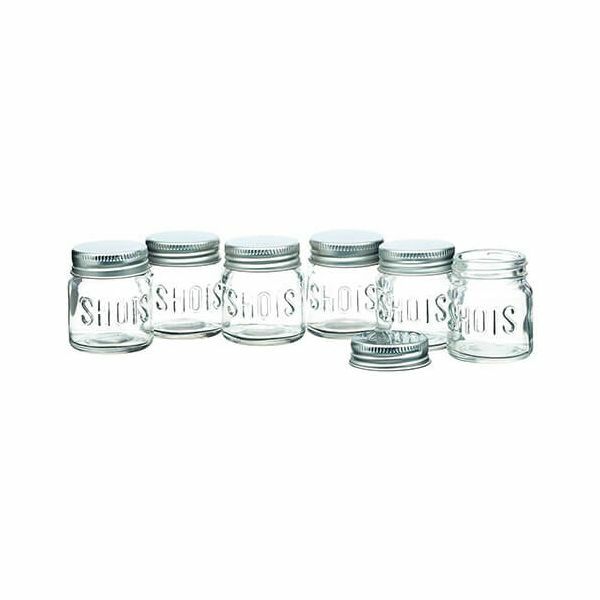 Each glass has a capacity of 60ml / 2fl and have screw top lids to look like canning jars, the perfect size for shots. 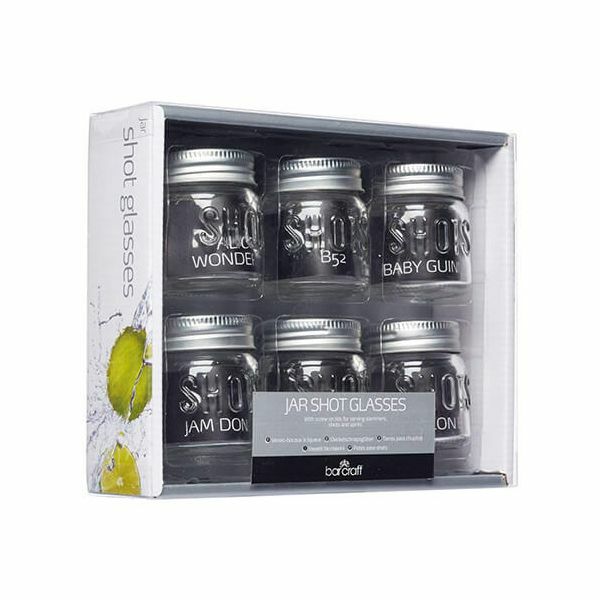 These quirky shot jars are ideal for garden parties, special occasions and drinks with friends. The glasses are dishwasher safe without the lids. This set of 6 shot jars can also be used for serving desserts, jelly and homemade mousse.